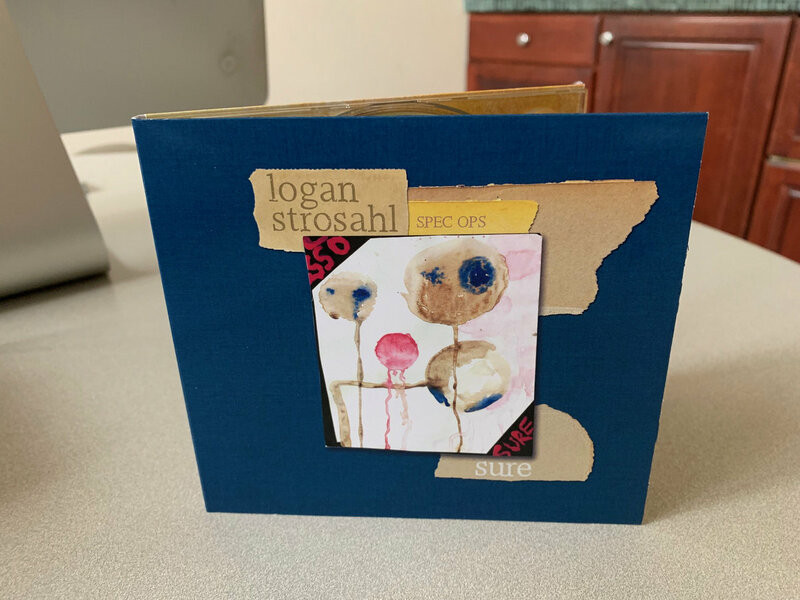 Logan Strosahl Spec Ops - "Sure" CD! 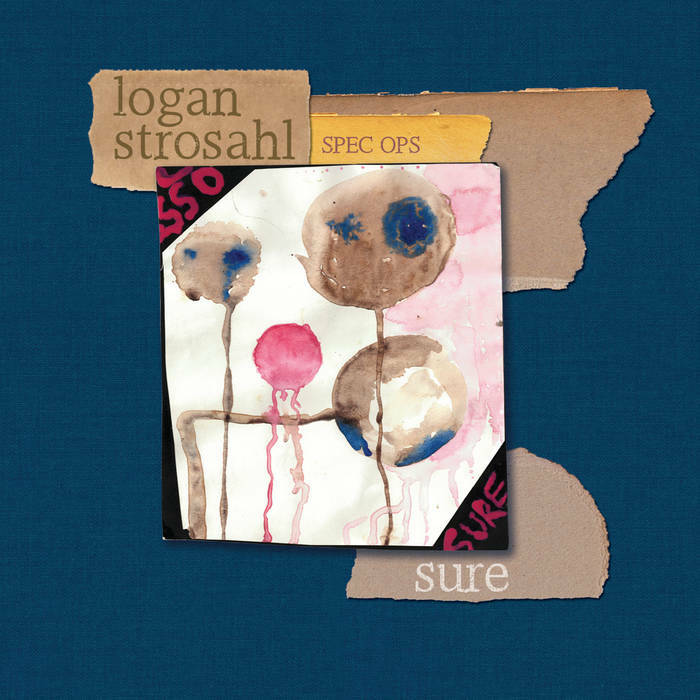 Digipak edition of Logan Strosahl Spec Ops' "Sure". 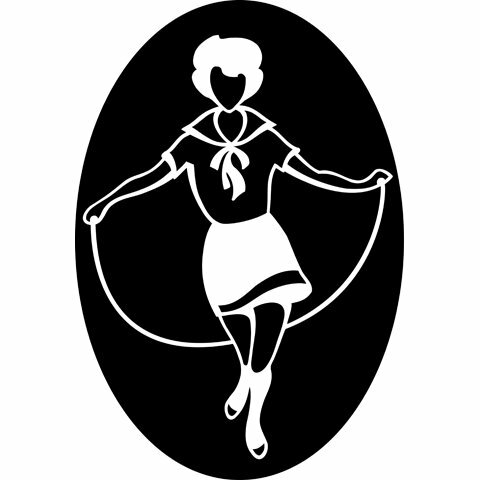 Includes unlimited streaming of Sure via the free Bandcamp app, plus high-quality download in MP3, FLAC and more. Saxophonist and composer Logan Strosahl has increasingly been involved in the myriad worlds of formal composition. His study of pre-1700’s and contemporary composition has led his music far from his musical roots in jazz music. That isn’t to say that jazz had been usurped; on the contrary, Strosahl’s new recording, Sure, by his new ensemble, Spec Ops, is a vital reflection of his continued engagement with the tradition and future of that music. Having grown up as somewhat of a saxophone prodigy in the Pacific Northwest, Strosahl has a deep connection to jazz and feels that no matter how far his musical interests have ranged, jazz will always be “home”. 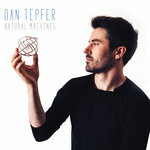 He doesn’t view jazz as a dogmatic music, though…to him as to many others, it has always been the music of improvisation, interaction, energy, intellect, and the blues; an omnivorous music at once “high” and “low,” in-your-gut and in-your-head. These ideas ground the music of Spec Ops. The trio was assembled to carry out Strosahl’s plan of generating music to match those principles, and the individual “bag” that each of these three musicians bring is fundamental to Spec Ops’ realization of that plan. Longtime associate and bassist Henry Fraser was enlisted because of his gifts as an improviser and his kaleidoscopic musical interests and masteries, from standard playing to free music to art-rock. 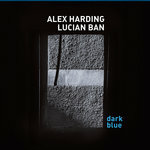 Drummer Allan Mednard is a more recent collaborator and fits the bill with his crackling energy and pocket, akin to those of the great Ed Blackwell. Their abilities share the stage equitably with Strosahl’s distinctive horn playing, this time encompassing alto sax, tenor sax, and also flute. The pieces that Strosahl composed for Sure were written to highlight improvisation and rhythm. He reached across genre and cultural lines to find rhythmic ideas that fascinated him and drove the music down interesting avenues. The pieces were written on the instruments they were performed on, so Strosahl would have the melodies under his fingers. The ensemble also included in their program three “standards” that showcase their interpretive abilities and interchanging energy and vocabularies. The program begins with poppy “Bark”: a catchy syncopated melody that sets off a freely blown ensemble piece, setting the tone for the record. 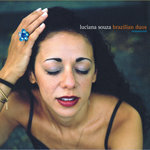 The flute driven “Chacarera” utilizes the legendary Argentinean rhythmic pattern to underlay a feel both intricate and laid-back, with an extended solo section. The technical “Galahad” begins with a plunging canon, which evolves into a chase between Strosahl’s alto and Fraser’s bass over a game-like improvisation; the whole piece is composed over an usul (an umbrella name for Turkish rhythmic patterns), this one in 11/8 and called Tek vurus. One of Strosahl’s favorite standards, Thelonious Monk’s “Coming on the Hudson” is done in a punchy, swinging fashion. Strosahl’s remarkable “Three” is composed of three enclosed events: the initial flute melody is inspired by Baroque recitative, the pulse of the second section is another Turkish usul called Evfer—although the meter is 9/8, the canonical bass/tenor “riff” is in 6/8, creating alternating points of emphasis—and the final section is a 5/4 riff that serves as a launch-pad for the closing improvisation. 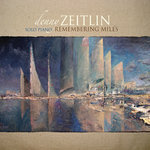 The Strayhorn and Ellington enigmatic classic “Isfahan” has long been a part of Strosahl’s repertoire; the ensemble’s treatment of it reflects an instinctive knowledge of tradition as firmly as it does their own identities, and culminates in a lucid cadenza from Strosahl reflects an instinctive knowledge of tradition as firmly as it does their own identities, and culminates in a lucid cadenza from Strosahl. If the album is imagined as a long program, “Nez” is an interlude of sorts, through-composed and with two sections: the first is a two-voice texture using suspensions to create fleeting moments of tension, the second a kind of soaring recitative in which time seems to float to an eerie halt. The program concludes with an early jazz piece, “The Chant,” a blues made famous by Jelly Roll Morton and written by Austrian-born pianist Mel Stitzel, cementing the legacy of interchange between cultures in the development of jazz. Though his composition has evolved into its own unique world somewhat outside traditional jazz genre-lines, Logan Strosahl’s new recording Sure with his Spec Ops trio highlights his passion for this music of dynamism through democracy and shows three gifted musicians playing together simply, seemingly without a care in the world.